Welcome to Part Two of SEGA mobile games that I want to see in development. In Part One, I shared some ideas for NiGHTS into Dreams, Panzer Dragoon and Phantasy Star and introduced a random assortment of popular games that these games could be based on. But now we’re going to take it up a notch by targeting some of the most popular games on the iTunes and Google Play app store and how SEGA could make bags of money off older IP’s. Well, maybe. If you visit the top grossing charts of either iTunes or Google Play’s app stores you’ll see two names; Candy Crush Saga and Clash of Clans. There is a reason why there are so many copies of these kind of games; they make money. Lots of money! SEGA are already working on their own Clash of Clans inspired city-building game with Total War Battles: Kingdom, which is in development for both PC and tablet devices… But what about a Candy Crush beater? Of course, whilst there are clones of popular games coming out of your ears, that doesn’t mean there should be more. Instead, we should take a look at what works, what makes these games a successful gaming experience, and take them on board to inspire evolutions within the genres and new ventures in mobile gaming, as Hardlight have done with Crazy Taxi: City Rush and hopefully what SEGA will accomplish with the yet unknown Sonic Runners. But with that said, allow me to introduce three more SEGA games I want to see on mobile. 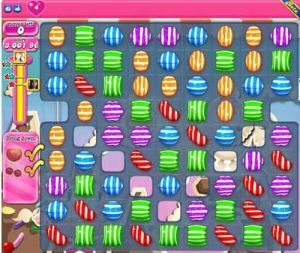 Candy Crush Saga is a match three puzzle game you may have heard of, and whilst SEGA already have quite a few Puyo Puyo puzzle games on mobile in Japan they don’t quite have a rival to Candy Crush Saga yet. Candy Crush Saga is everywhere; your mother plays it, the guy on the bus plays it, your cat can get past level 65. It’s on the TV, in your face, it’s infecting the human race… And as my boss says, every good studio has at least one match three game. Maybe even two. 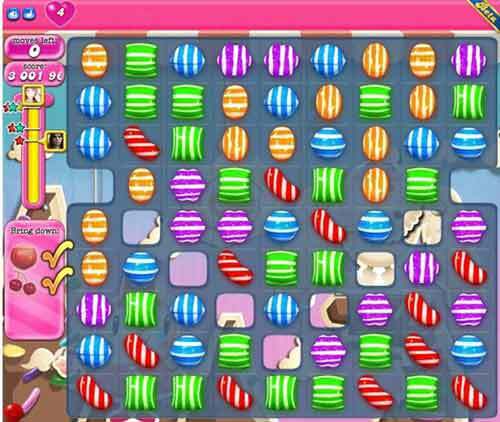 Whether you love or hate Candy Crush Saga and its variations, match three games are fun! And perhaps an old family favourite like Columns could be revived for SEGA’s take on the genre. Good old classic Columns is actually available to play on the iOS iTunes app store, and a few clones can be found on Google Play. However, my vision of Columns Crush involves giving the game one heck of a makeover, and I don’t just mean updated graphics. To truly capture the Candy Crush crowd we’ll need a whole map to explore with hundreds of challenging levels. Whilst the original gameplay can be kept intact, new game modes and methods of playing will need to be introduced including variations in level designs, blocks to get past and challenges to overcome. It’s the variety of Candy Crush Saga which makes the series of Saga puzzle games so addictive and our new updated Columns will need its original Tetris-like free-falling mode as well as something more akin to Bejewelled. Columns Crush will also need some new and updated power ups instead of just the Magic Jewel. Power ups to go back a turn, pause time, destroy certain blocks etc. Okay, old Columns was a bit boring to be honest. But ‘Columns Crush’ has a great ring to it don’t you think? 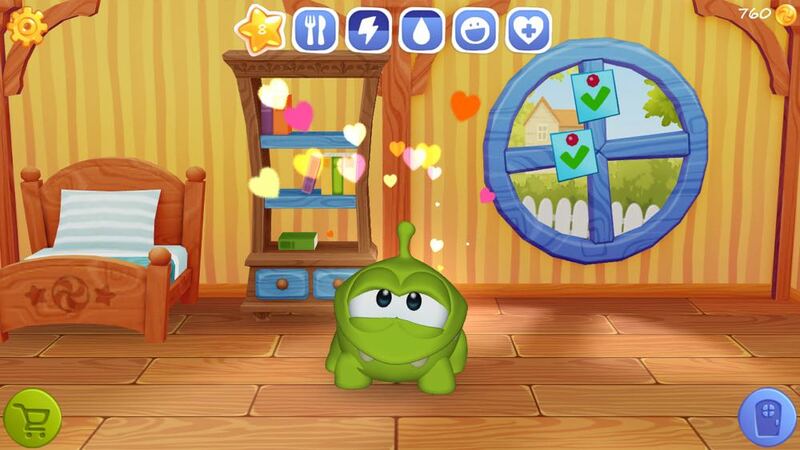 Virtual pet games are surprisingly popular on mobile. You can find old classics like Tamagotchi on the app store and you may have seen a weird poo-shaped alien called Pou around. 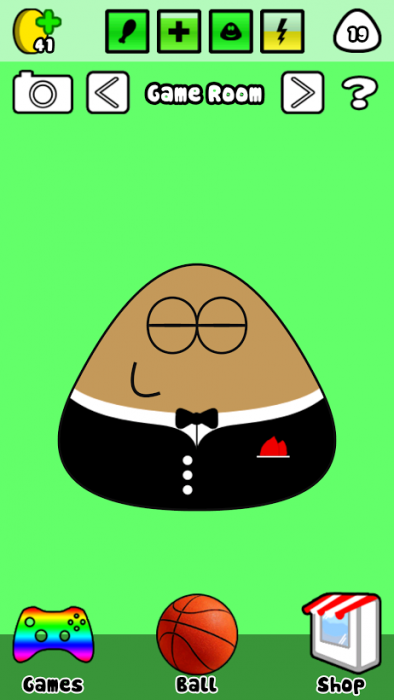 Pou, and his many clones, is a basic virtual pet game where you feed, wash and look after a pet. 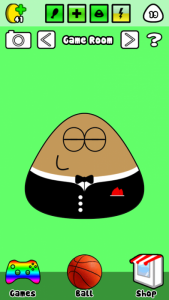 You can play all kinds of mini-games and then customise Pou with new clothes. Other popular virtual pet variations include the My Talking Tom series of games which feature a cat that you can ‘talk’ to or use to repeat speech via your phones mic. Just recently the folks behind Cut the Rope released a virtual pet game where you take care of and play with their mascot monster in My Om Nom. Now imagine all of that but with the Chao’s from the Sonic series. The possibilities are endless! Hatch your own Chao egg and raise is to be a good or evil Chao within your own Chao Garden. Feed it food to raise its level and help it grow up. Compete in mini-games such as Chao Racing or Chao Karate to gain medals, experience and coins. Use coins to buy toys, garden items, clothes and accessories. Leave your pet in Chao Kindergarten to learn new animations or visit the black market to buy new Chao eggs! There are so many options for customisation. You could buy items to make your Chao a NiGHTS or Sonic Chao, or actually have an in-built evolution system using rare items that can be purchased or won. With server support, you could trade Chao eggs or compete in multiplayer games of Chao Racing for example. Basically, imagine all of the Chao rearing of Sonic Adventure 2, but BETTER! And always in your pocket. It’s like turning your phone into a VMU! Sonic fans have been asking for Chao Gardens within modern Sonic games for ages now, so why not create a whole game based around it? With a little IAP magic you could also thrown in Chao skins for Omochao and the Nightopians from NiGHTS. Shenmue 3. Shenmue 3. Shenmue 1 & 2 HD with Shenmue 3 SUPER EDITION. Do I have your attention now, Shenmue fans? We all know you want more Shenmue. SEGA should have got the hint by now, you can’t enter a SEGA forum or comments thread without the sacred word of Shenmue being blurted out like some strange form of Tourette’s. That said, one way to appease the Shenmue demographic (or enrage them into a revolt) is to create a new mobile gaming featuring our favourite SEGA IP! And I’ve thought about this real hard. Small arcade-style games are the current trend. Flappy Bird, Timberman, Crossy Road and pretty much any game from Ketchapp Studios such as 2 Cars always rise to the top of the charts. So I thought; why not bring the fun mini-games of Shenmue’s arcades to life on mobile? The arcade was one of my favourite parts of playing the original Shenmue and such classics as Darts, Neo Darts, QTE Title and Excite QTE 2 would be easy to recreate on mobile using one-finger tapping gameplay. We could have a 3D view of a Shenmue arcade with Ryo Hazuki himself inside and with all the arcade machines on view. Just tap on one to play them. And don’t stop there! Throw in multiple levels of Lucky Hit and then a few classic titles such as Space Harrier, Outrun and Hang On, and perhaps a few new classic games behind a IAP pay wall. And here is the best part… Earn coins from these mini-games and use them to buy and collect all of the capsule gacha toys from previous Shenmue games. 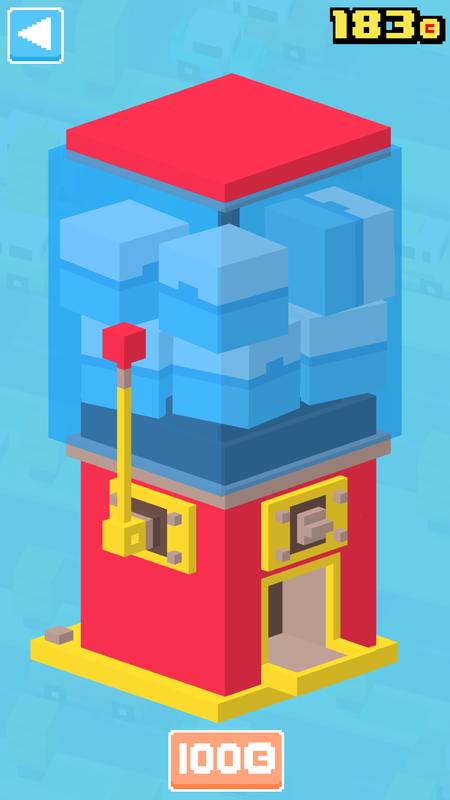 Crossy Road is one my new favourite mobile games at the mobile because it’s simple, fun, and has many characters that you can unlock with coins via a gacha machine. 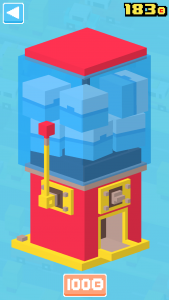 In Crossy Road, playing the gacha machine costs 100 coins and gives you a random character, much like how the original Shenmue toy capsule works. 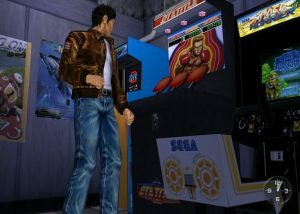 Not only are you playing a fun arcade game, but you’re collecting cool things too, and Shenmue had many cool things to collect. If you add in server support, there is also the potential to trade items with your friends and a game like this would be easy to update with new items, new things to collect, and feature IAP to unlock new arcade games or buy extra coins. If you wanted to go really crazy you could add in all kinds of old Shenmue collectibles and music tapes to buy and accumulate as well. I know I would love it! Those are just six of my ideas for SEGA games, but older SEGA IP’s could easily be revived for mobile games. How about a Flicky version of Flappy Bird? A detective hidden object game based on apps like Criminal Case but staring the characters of Virtua Cop? A Clash of Clans game set in the Shining Force world? A mobile Space Channel 5? Okay, some of my ideas are probably awful, but c’mon! Everyone wants a Chao in their mobile phone! Do you have any great ideas for SEGA mobile games? Share your ideas and thoughts below!